Buses will drop off at the Convention Center Circle, then park in Tour Bus Parking. As you exit the Convention Center Circular Drive – Turn right on Gaylord Trail. At the Next Corner, turn right on Convention Center Drive (though it may not be marked). At the stop sign, proceed straight as the merges with Ruth Wall Dr. coming in from the right. Just before the traffic light, turn right on Turner. The Parking Lot is on the left. Please park in the Eastern section of the lot, closest to Ruth Wall Dr. 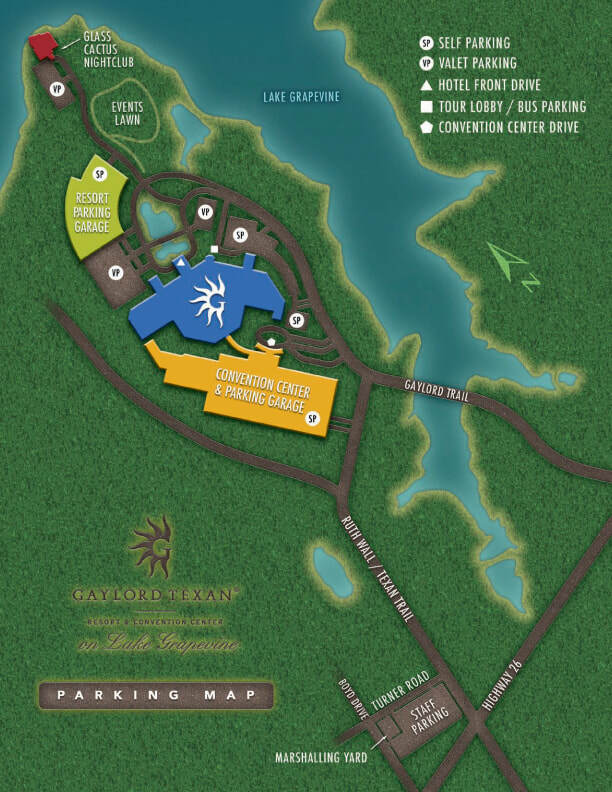 Individual cars and vans will park in the Resort Parking Garage.